Radon is a radioactive gas that occurs naturally when the uranium in soil and rock breaks down. It is invisible, odorless and tasteless. When radon is released from the ground into the outdoor air, it is diluted and is not a concern. However, in enclosed spaces, like homes, it can sometimes accumulate to high levels, which can be a risk to the health of you and your family. 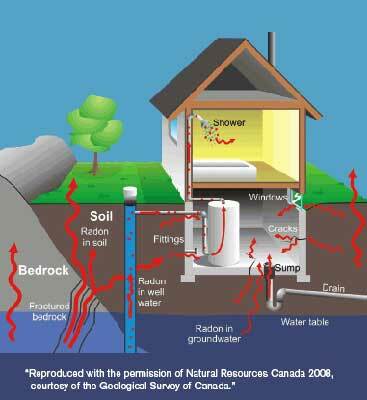 Radon has been recorded in most areas of Canada. While seldom mentioned in the lower the mainland, it is simply because Radon testing has not been performed, or in very limited quantities, to verify the amounts that may be present. Most homeowners are now becoming more aware and sensitive to the environment that they are now living in and how it is affecting their overall health. Exposure to radon and tobacco use together can significantly increase your risk of lung cancer. For example, if you are a lifelong smoker your risk of getting lung cancer is 1 in 10. If you add long-term exposure to a high level of radon, your risk becomes 1 in 3. On the other hand, if you are a non-smoker, your lifetime lung cancer risk at the same high radon level is 1 in 20. 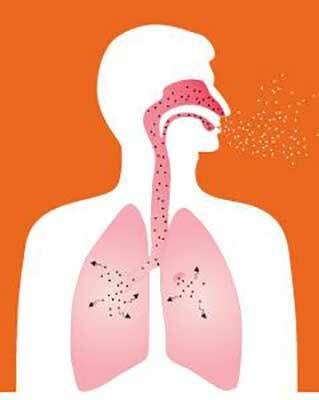 Image Courtesy of Health Canada. As certified (C-NRPP) Radon Measurement Professionals, AusCan Building Inspections can test the possible levels of Radon Gas within your home or Commercial Building. Testing is easy and has little disruption to the occupants of the building. Combine this service with an Indoor Air Quality Assessment to fully verify the quality of air inside your building. This service can be added as an option to an existing inspection. Call us today for more information to book your Radon Measurement inspection.